Treason by S.M. Boyce is the thrilling sequel to The Grimoire: Lichgates. Here we see much more of the world of Ourea as the different tribes are brought together in the name of peace. But when things don’t go as planned after signing the peace treaty, Kara must decide who she can trust in this dangerous land where it seems that everyone she meets is ready to either kill her or use her to gain more power for themselves. Even the vagabond begins to push his own agenda and soon Kara is left alone to defend herself against a betrayal she never saw coming. 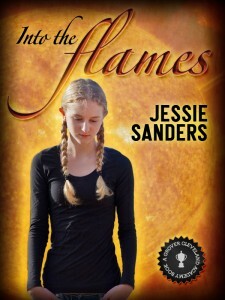 I read this book in one sitting because I could not put it down! S.M. Boyce does such a fantastic job of drawing you into the story and helping you feel the setting. I honestly hated to leave Ourea and the drama there. I was on the edge of my seat and holding my breath at more than one scene. I am a sucker for a happy ending and was really worried that the author was going to let me down, but I promise you that she brings it all together and then surprises us by changing the game altogether. You won’t want to miss this wild ride! If you haven’t yet read the first book, go right now and grab a copy of Lichgates. I promise you’ll thank me later. In this series, Kara finds a magical book called the grimoire that can answer her questions and guide her toward her destiny. We’ve been given a special opportunity to peek into the grimoire, but we can only ask it ONE question. What shall it be? Leave a question for the grimoire in the comments below and on Friday, one lucky reader will be chosen to ask the grimoire their question. Will it be you? Though I enjoyed reading this adventure set in the middle of King Arthur’s Camelot, don’t be deceived. This is not just another knight’s tale! The young page, Leonard, serves a knight who is more gentle than brave and he longs to lift them both out of the low position they hold in the kingdom. While other knights fight dragons and feast at the king’s table, Sir Ronald chases off crows from gardens and then dines on a skinny goose in his crumbling, half finished castle. Leonard devises a plan to elevate his master when he meets a desperate dragon seeking a knight to end his misery. When the plan goes horribly wrong, Leonard finds himself on a dangerous quest to redeem them all and in the process uncovers a plot to end Camelot for good. Can this unlikely hero save the day? Marvelous work by the fabulous Roger Eschbacher! 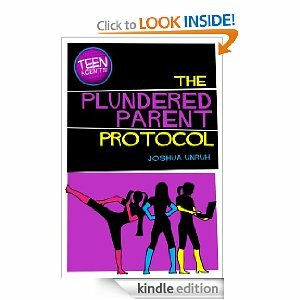 This book is fun, funny and quite an adventure! Although he begins with a well-known legend in the form of Camelot, the author takes the reader into a whole new realm of creatures and magic we have not seen before. Even some of the most vicious creatures are creative and endearing in this version of the fabled kingdom. I know boys and girls alike will find this story fascinating and fun. My daughter might complain that it gets a bit “yucky” during the battle scenes, but not more than would cause any normal fifth grade boy to yell out “cool!” as he reads through it. In turn, the boy in my house might not appreciate the innocent crush Leonard has on Maiden Glennys, but my daughter will eat it up. A marvelous balance that is hard to create as an author and I believe Eschbacher has done it superbly. Roger will stop by tomorrow to share some of the most common questions he gets from young readers. Did I mention that Roger is not only an incredibly talented author, but that he is a totally cool writer who has worked with cartoons like Scooby Doo and The Littlest Pet Shop? Come back tomorrow and see what he has to say to aspiring writers – like YOU! 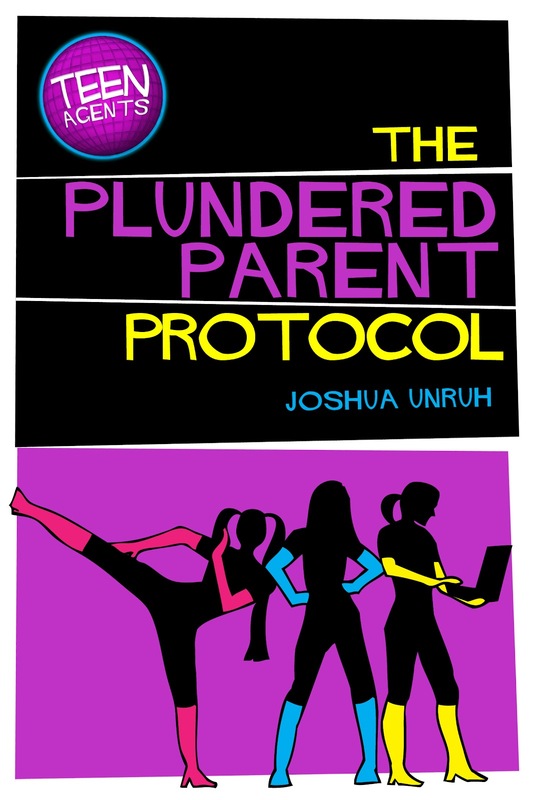 > TEEN Agents in The Plundered Parent Protocol by Joshua Unruh is a fabulously fun adventure. It tells the story of Elly Mourning, Hea Jung Noone and Saturday Knight, best friends who are all about to celebrate their thirteenth birthday. A mysterious teenage boy decides to crash the party with an army of robots, and boy do they crash it! The robots capture the girls’ dads and carry them away. The worst part? No one believes it happened! Only the girls saw the robots and their handsome leader. Who is going to believe a few thirteen year old girls crying about evil robots who swoop down from the skies? With their dads missing, and presumed dead by all the adults in their life, the girls decide it is up to them to play rescue party. That’s when they are approached by the director of a top secret agency, T.E.E.N. The Teenage Extranormal Emergency Network will help them in their rescue mission, that is if they can pass the dangerous obstacles that will test their skills. They will have to work together if they want to survive and become agents. Can they pass the test? Will they ever see their fathers again? Can they find the villain behind the kidnapping and stop him before he completes his evil plan? My daughter and I both loved this book. It was a fast read, fun and exciting as the adventure carries you through chapter after chapter of tricks and traps, drama and daring. The girls are like most thirteen year old girl. Best friends, they still manage to squabble once or twice and spend a fair amount of time thinking about boys all while wanting to save the world. Well, you heard the girl. Go get yourself a copy! You can find it at Amazon, both in paperback and in Kindle edition. Don’t own a kindle? That’s okay, they’ve got an app for that! You can download the Kindle app for almost any digital device. Go check it out and then come back and tell us how much you loved it.